Sensible yet sleek – these flat shoes for women are the perfect style staple. These low-profile lace-up shoes can be worn with anything. 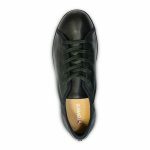 Fitted with all the Revere Shoes product perks including a removable insole, and buttery-leather linings, these lace-ups are a wardrobe essential.